Follow a river of poetry through country, town, the bush, the four seasons, night and day, and explore the Australian landscape through the eyes of our best Australian poets. Age 10-14. 'I am the river, gently flowing, as I wind my way to the sea.' (Mary Duroux) Follow the river of poetry through country, town, the bush, the four seasons, night and day and explore the Australian landscape through the eyes of our best Australian poets. 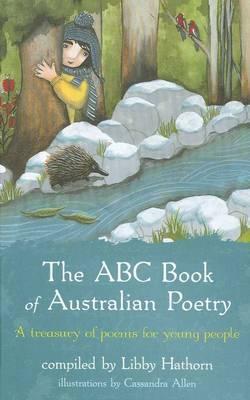 In this beautiful collection of poems for children, award-winning author and poet, Libby Hathorn, has brought together favourites such as those by A.B. 'Banjo' Paterson, Dorothea Mackellar and C.J. Dennis, as well as more contemporary poems by Steven Herrick, Eva Johnson, Les A. Murray and others. Exquisite illustrations by Cassandra Allan make this a collection to treasure. Age 10-14.